Located on the esplanade overlooking a gorgeous stretch of golden beach, moments away from a budding café scene and award winning restaurants, Breeze Mooloolaba Sunshine Coast’s newest luxury apartment hotel, shows off its curves amongst a row of drab and boxy apartment towers. 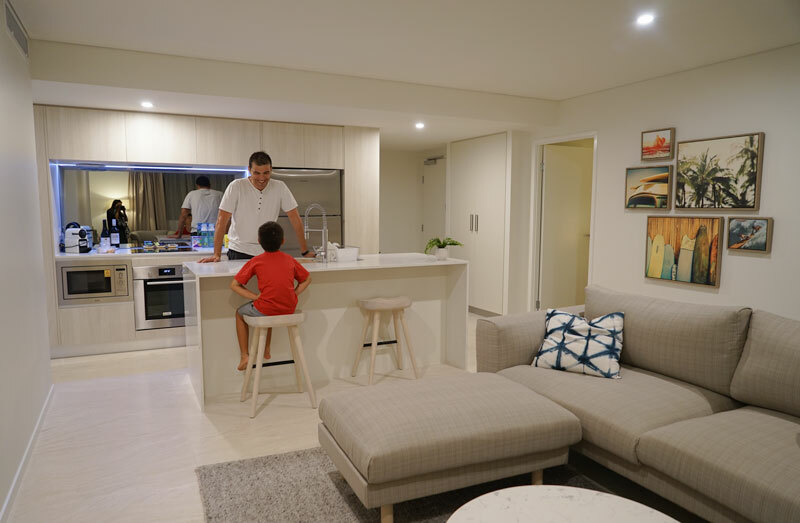 We think it is Mooloolaba’s best family accommodation and certainly the most stylish. The exceptional standard of the striking five-star property continues inside, where everything within has been carefully designed to create a refined yet relaxed setting. We felt right at home on our recent family escape. Inspired by moving waves and tidal estuaries, Breeze Mooloolaba shows off its curves. New and spacious boutique luxury two-bedroom apartments with superb beachfront location on Mooloolaba Esplanade. Only an hours drive from Brisbane and within reach of all the Sunshine Coast hotspots. 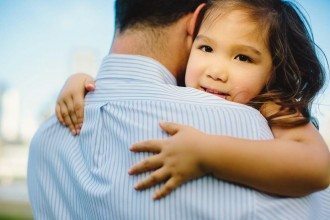 Relaxed setting may not suit families that enjoy a faster pace. If we had to pick the weakest link, it’s the petite yet perfectly formed pool. The ideal water temperature makes up for the size. Affordable beachfront luxury for families looking for an easy and relaxed seaside escape. 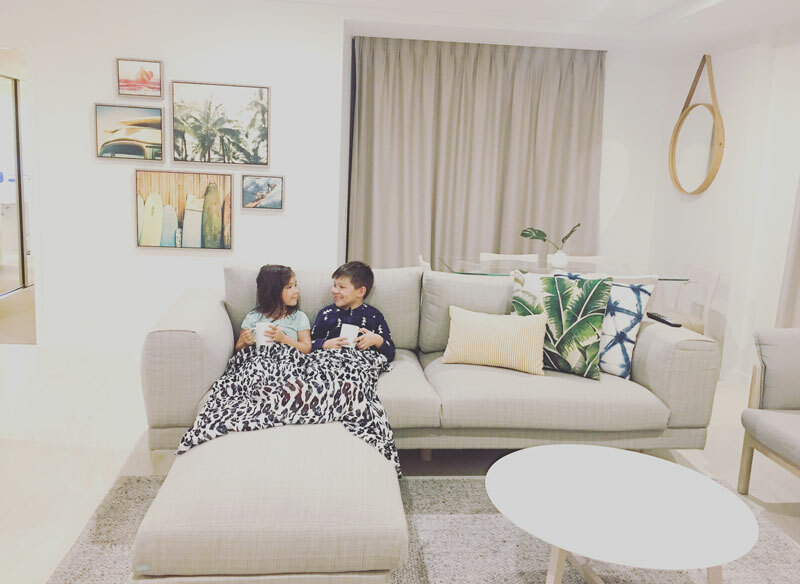 As we stepped into our chic luxury two-bedroom holiday apartment, our son exclaims “This is SO much nicer than our home!” and he said it as he saw it. The light filled, edgy coastal interior featured simple modern lines and neutral tones with accents that subtly reminded us to relax, we were at the beach. The walls were adorned with canvas prints of Kombi vans, surfers and boards; a tropical pineapple dish held remotes to the flat screen smart TVs and the elegant linen couches were dressed with palm tree printed cushions. Superbly on-trend, we loved everything about the contemporary design from the copper mirrored kitchen splash back, light pine wood finishes, Scandinavian inspired furniture, soft homely rugs and touches of delicate marble. There’s been real thought behind the practical needs of guests with functionality complimenting the fashionable design. 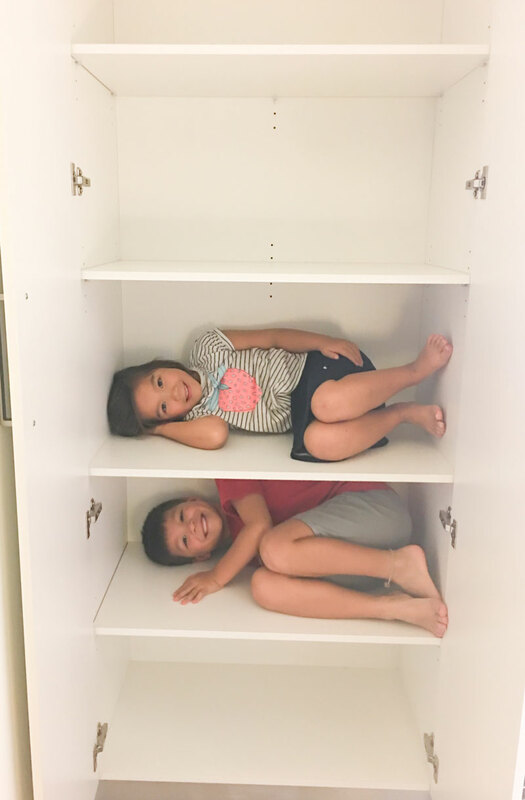 We were impressed with the storage options, both bathrooms had ample concealed shelves, the kitchen and living area offered plenty of cupboards and the bedrooms had spacious built in robes with loads of drawer space. All our luggage and gear was tucked away creating a clean and uncluttered sanctuary. In the kids room were two single beds and they shared their own bathroom. Sliding doors in the small hallway concealed a full laundry with washing machine, dryer, iron and ironing board. A large open plan living and dining area lead to a private balcony with ocean views. The main bedroom had a comfortable Queen bed and roomy ensuite. The dreamy kitchen decorated with shiny white stone bench tops and soft close grey-washed cabinets had everything we needed, including: microwave stainless steel fridge and dishwasher. Technology was seamlessly incorporated into the apartment hotel with three smart flat screen TV’s (one in each room) connected to the on-demand entertainment system, offering an array of recent releases and TV shows. There’s complimentary high-speed internet, an easy tap-in RFID door lock system and secure lift access from the gated underground parking straight to our floor. These tech conveniences made everything effortless and easy. Deliciously scented Australian made Biology Skin toiletries, complimentary coffee pods for the Nespresso coffee machine, in-room safe and a powerful hairdryer tucked away in the bathroom, were lovely luxuries. 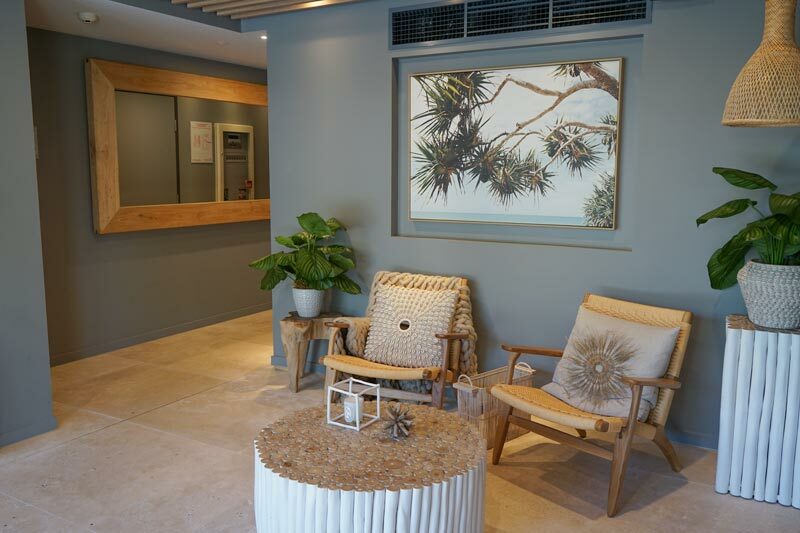 It’s the little touches that make Breeze Mooloolaba a true five-star property. Beach towels were provided, so we didn’t have to pack our own. The kitchen had everything a family needed to cook and entertain. It wasn’t the typical bare bones kit you’d find in most holiday apartments, a cool jug of water was ready in the fridge, a chilled wine cooler in the freezer, several cheese boards, mortar and pestle, microwave-safe containers and a decent selection of wine glasses, mugs, plates, bowls, pots, pants, cutlery and utensils were supplied. The holiday apartments did not skimp on the small stuff either, with more than one tea towel, dishwashing liquid sachets, packets of washing powder and multiple bin liners. Often families are issued with one of everything and it’s never enough for a short stay, we had everything we needed for a long weekend. On the ground floor at the entrance is a small reception with knowledgeable and welcoming staff. Although we had everything we needed for a self-contained family holiday, it was nice to know that assistance is available every day from 8:30am to 5pm. 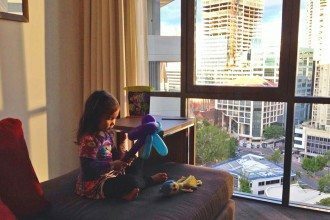 We checked in after hours and the simple process to gain a temporary key was quick and easy, free from any hiccups. Through the automatic doors on the ground floor is the Pool Club an elegant wood finished communal area with outdoor BBQ, sink and large dining setting, encouraging casual meals in. The kids loved the shimmering navy blue above-ground pool, the 1.1 metre depth was perfect for young kids to swim under the full morning sun. As it was small, the water was invitingly warm on a winter’s day. Better still, finished off with a dip in the heated corner spa. 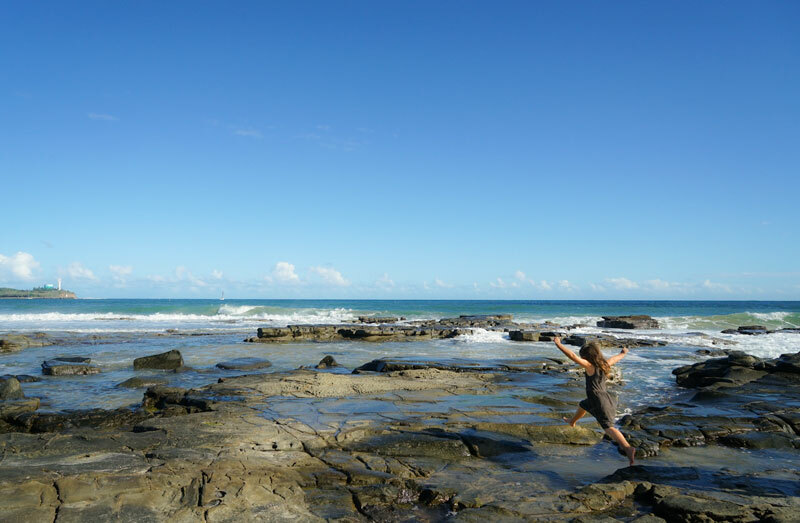 Whilst there is no hotel gym, there are scenic and relatively flat running tracks along the beach, from the hotel entrance to Mooloolaba rock wall is a approximately 6 km return run, there’s also a public outdoor gym opposite the hotel. Alternatively, for a small fee, guests can access an indoor casual use 24/7 gym down the road. 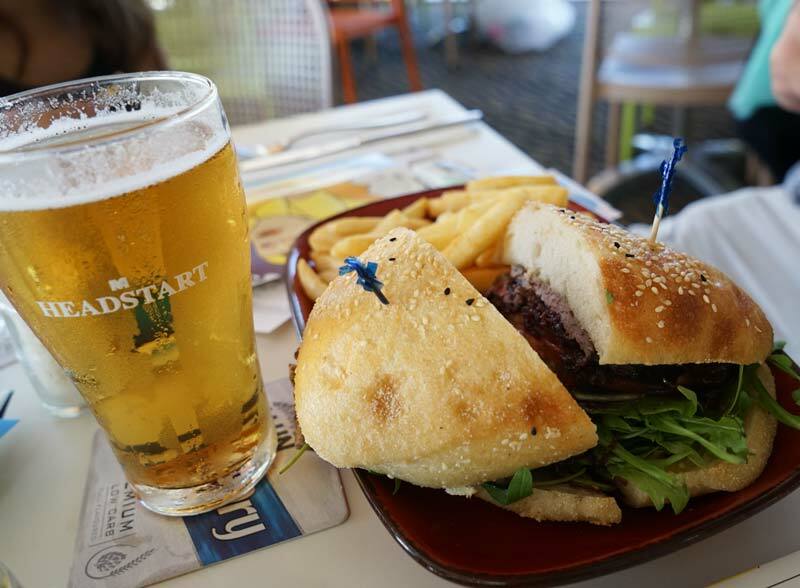 There was no driving required during our our stay, all of Mooloolaba’s must eats and the best things to do in Mooloolaba were within walking distance. The local Coles is a block away and the Shot House located a few doors down had great specialty coffee. Smashed avocado on rye, eggs benny and quinoa hash can be found further along the esplanade at popular Mooloolaba breakfast haunt – Gainsbourg. 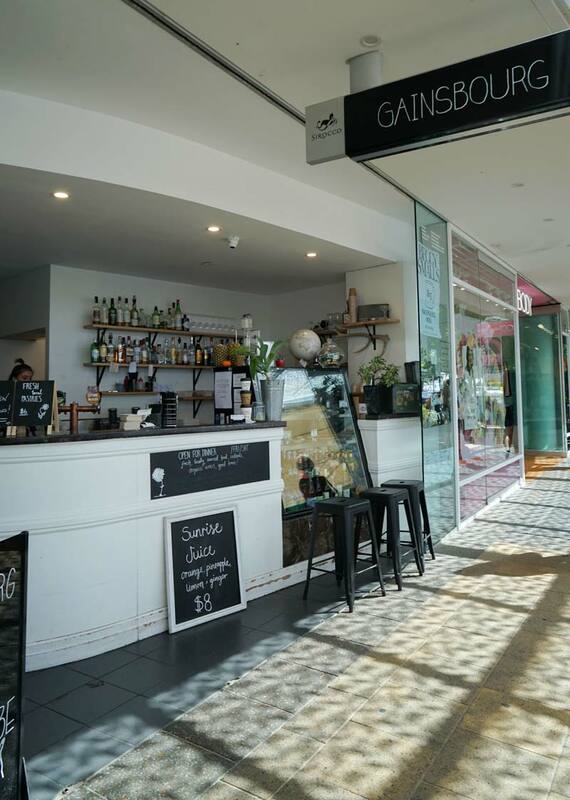 Or find an artisanal brewed coffee at The Columbian Coffee Co an independent roasting house with a small breakfast selection, known for the best coffee in Mooloolaba. 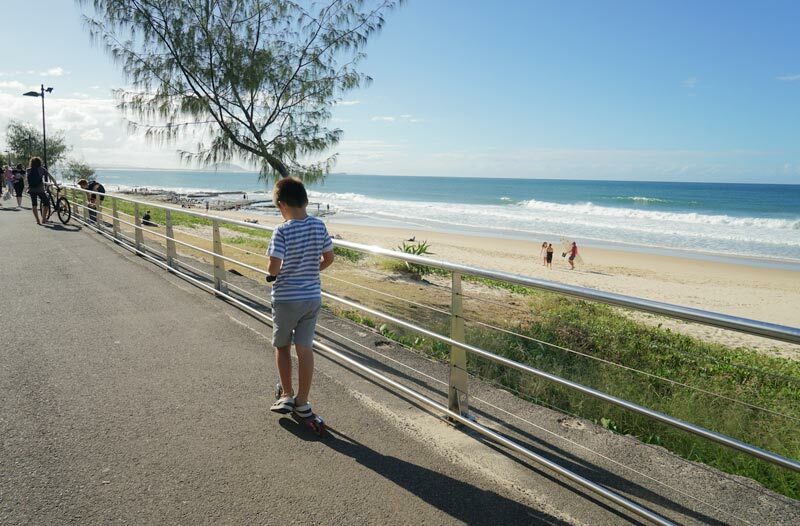 We took the kids scooters and gently strolled the esplanade to Mooloolaba’s Main Beach. 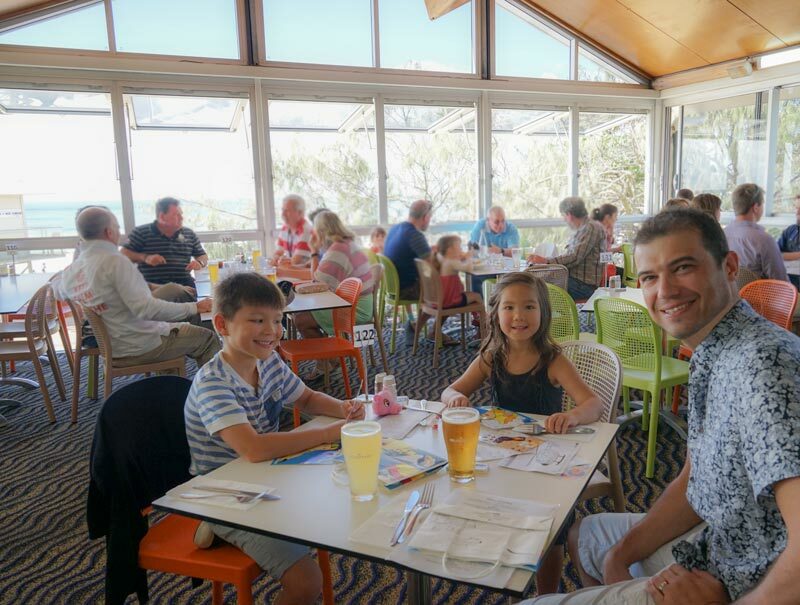 Stopping in at the Mooloolaba Surf Life Saving Club for a quick and easy family lunch, with affordable kids meals and uninterrupted views of the beach. Especially family friendly, the club had a small kids play area and complimentary colouring kits, which allowed us a little extra time to relax and enjoy a drink or two. At the front of the surf club is a beautiful curve of soft golden sand, where the kids splashed safely on the patrolled beach. There’s also a picturesque beachside playground for a play. After a day on the beach, we meandered back to the hotel along the beach stopping to explore the Mooloolaba rock pools, located opposite the Breeze Mooloolaba. At low tide, discover all sorts of marine life in and amongst the rocks and crags. During high-tide, find crowds gathered around the cliff top watching the waves crash onto the rocks. 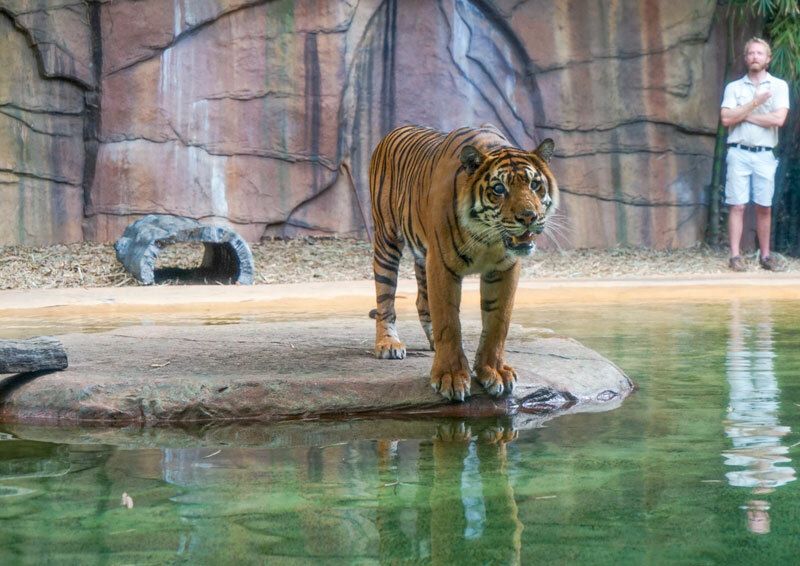 A short walk or scoot away is the SEA Life aquarium where kids can get up close to resident seal and sea lion, play in the tidal touch pool or find Nemo and Dory in the Pacific Reef Tank. After a long but lovely day, we chose to dine-in, however, if there was a chance to secure baby sitters we would have loved to try the 10-course Asian fusion degustation menu at award winning Spice Bar, just around the corner. 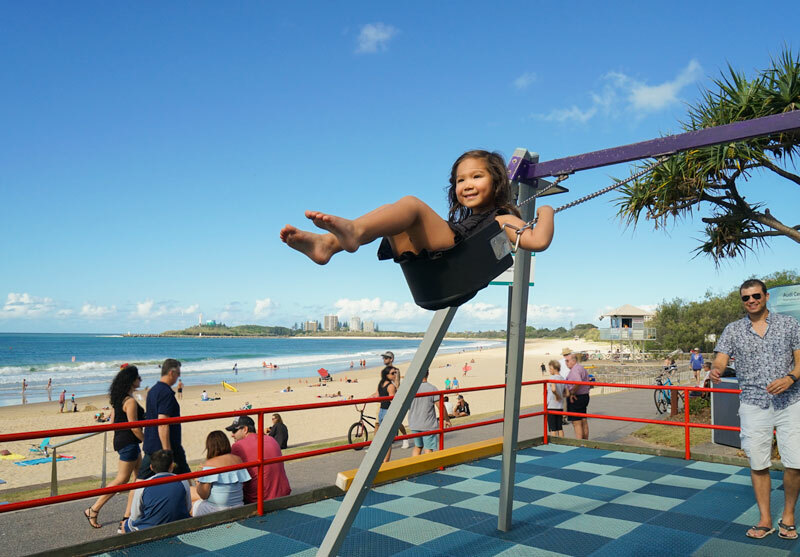 Mooloolaba is an attractive choice for our family, only an hour’s drive from Brisbane, it makes that small but noticeable difference. 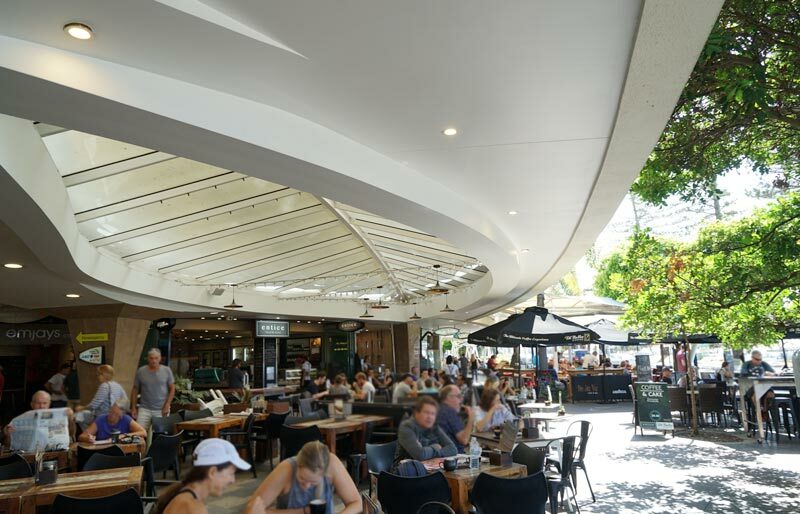 The relaxed pace, beautiful beach, happening food scene and exceptional value for money makes Breeze Mooloolaba an excellent alternative to nearby Noosa. 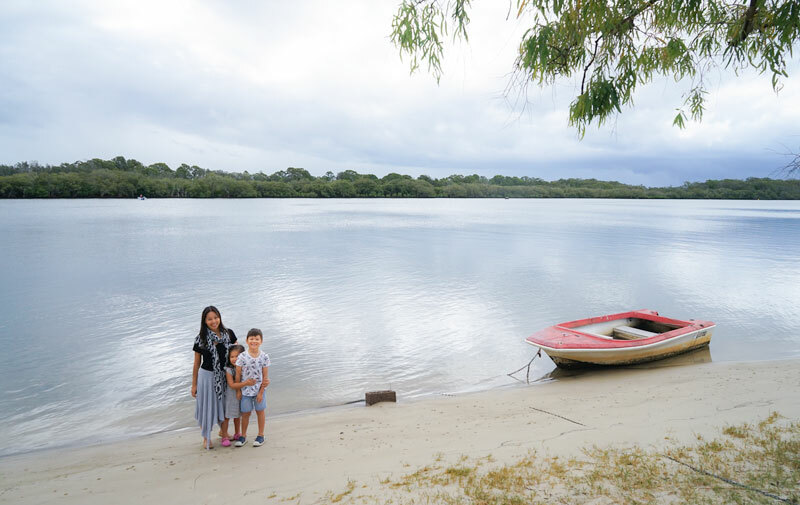 For families flying in, the Sunshine Coast Airport is a short 15 minute taxi ride away and families will find it easy to get by without a car. 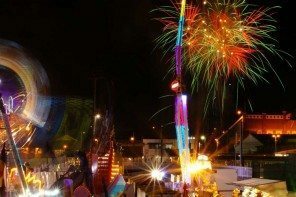 Or opt to hire a car for a day to explore the nearby Sunshine Coast attractions including; Australia Zoo, Noosa National Park, Sunshine Coast Hinterland or the Aussie World theme park. 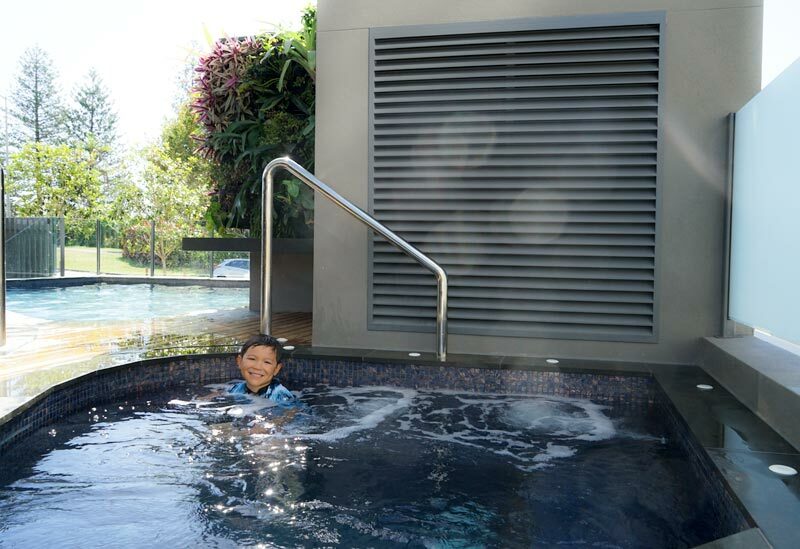 Ready for your own family escape to Breeze Mooloolaba. Check out Luxury Escapes amazing offers here. Thank you to Breeze Mooloolaba for hosting our wonderful stay, all opinions remain my very own. Looking to stay at Breeze Mooloolaba? Have you stayed at the new Breeze Mooloolaba on the Sunshine Coast? 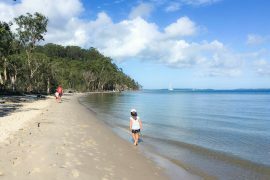 Love to hear from you below or take a Noosa day trip here. Hi, we’re staying at Breeze Mooloolaba later this year. We usually stay at Seahaven in Noosa – we’re trying Mooloolaba because the triathlon takes over Noosa at the time we’re travelling. 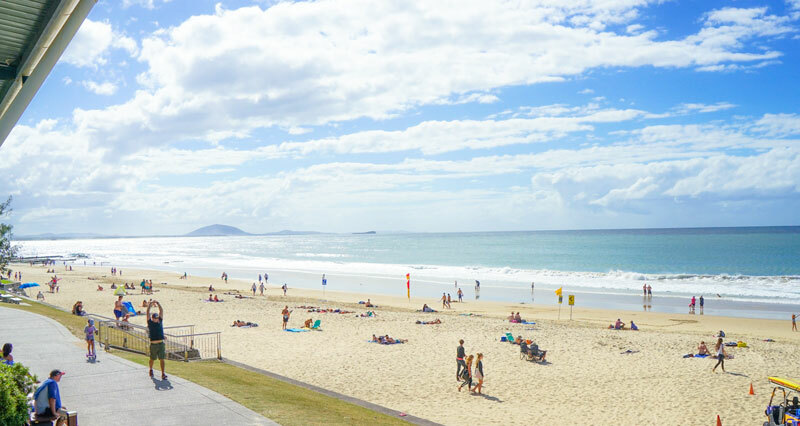 Thanks for all your tips about what to do in Mooloolaba I’m sure we’ll love it! The downsides for us at Breeze are: no bath (for our 4 year old), small pool (as you also noted), only the biggest rooms have a good sea view, and it’s further from the main beach / best area for small kids to swim. Thanks so much for your blog – love it!